Over the past decade Michael Bay's Transformers film series has generally been naught but a rubbish film making machine, albeit one raking in promising studio profits in the long run. It's this year the series sees its first release met with critical success; Bumblebee has Bay shoved aside from any major creative involvement and instead acting as producer this time round. Remarkably, though perhaps unsurprisingly in a way, the end result is a well executed and genuinely entertaining blockbuster in a franchise full of polar opposites. 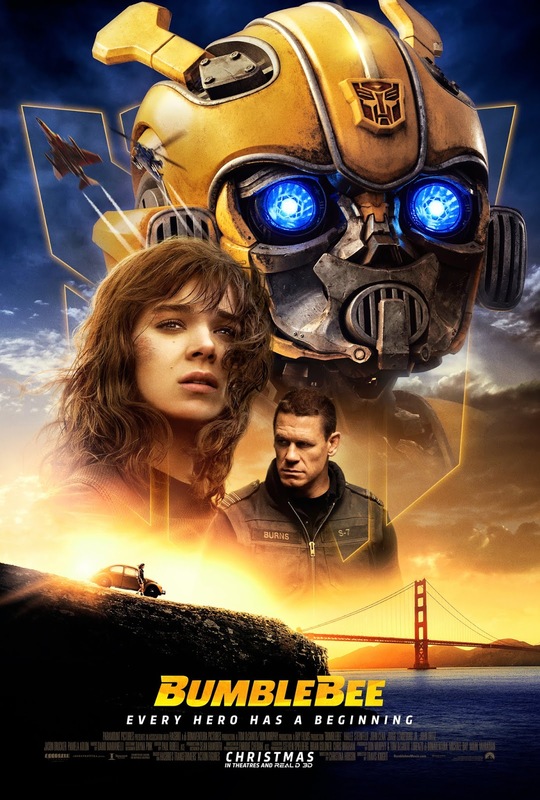 Taking place before the 2007 film that kickstarted this series, Bumblebee sees the eponymous hero, initially under his original name B-127, escaping a war ridden planet Cybertron and seeking refuge on Earth under the orders of Autbot leader Optimus Prime (Peter Cullen), where he meets and befriends Charlie Watson (Hailee Steinfeld), a lonely and grief stricken teen struggling to cope in life following the passing of her father. As their friendship prospers, as does trouble around them when B-127 is eventually discovered by villainous Decepticon scouts; who have their own malicious intent to bring the war on Cybertron with them. Though the first installment to this series wasn't offensively terrible, more mediocre at best, what followed was a whirlwind of noisy action flicks whose remarkable accolades in the special effects department were tragically overwhelmed by their nonsensical storylines, melodramatic performances, and bizarre tonal shifts; it all largely comes down not only to poor scripts but also of course the choppy directing of Michael Bay himself. 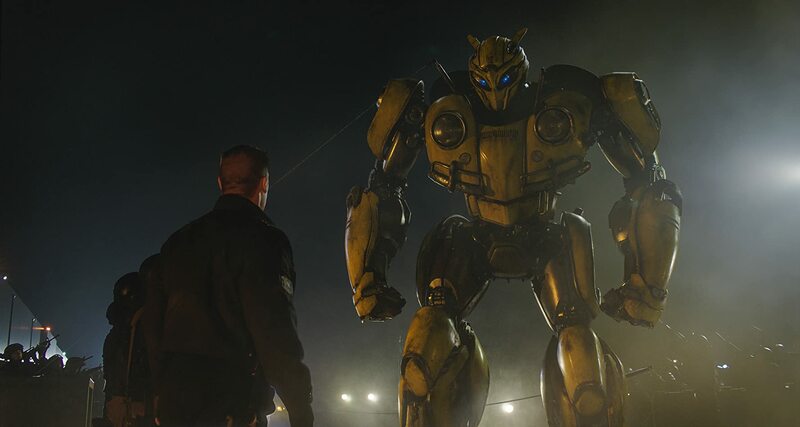 Bumblebee maintains the remarkable visual effects from the many failures before it but also understands what makes a good story, finding a relatively solid balance of genuine thrills alongside witty humour and emotional resonance throughout; a strong lead performance by Hailee Steinfeld also supports the latter merits nicely. The core friendship between Charlie Watson and Bumblebee is they key focus of the plot, with the plot involving the Decepticons occurring around them but linking in nicely, never feeling awkwardly pushed aside; the film for the most part finds a decent balance for these two central story elements. Perhaps human naivety is a minor narrative flaw once our eventual antagonists arrive; narrow minded government trust toward these arguably terrifying looking invaders is what ultimately influences the chaotic end climax, which may feel a bit contrived and face palm worthy, but not a huge issue when the majority of the story is so enjoyable. Bumblebee himself is just as entertaining as he's always been even in the worst efforts of this series, perhaps more so this time round, cute and amusing as his relationship with Charlie and his understanding of a new world around him develops and prospers; and of course the tougher side to him emerges when the film's exciting set pieces kick in, all of which are superbly staged and once again crafted with gorgeous visual effects. All these merits make Bumblebee a thoroughly enjoyable action flick from start to finish; it's just a shame it took so long for a genuinely good film to emerge from this series.